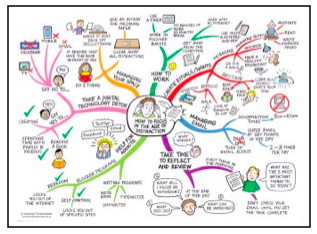 This is not directly a positive computing resource, yet it is a fun mind-map about keeping focused. It was produced by Learning Fundamentals an Australian company helping students develop learning skills. How many possible software tools can you find in this map?